What is runners knee, what causes it and how can it be treated? Physiotherapist Rebecca Christenson explains. In medical terminology ​‘Runners Knee’ is called patellofemoral pain syndrome (PFPS). It is a problem that can do very well with Physiotherapy treatment and there is a reasonable amount of research evidence behind what we do. The pain arises from around or under the patella (knee-cap) and can be as a result of it not tracking properly in its groove. There are some common risk factors that can affect how the patella tracks. The resting position of the patella –some people are predisposed to problems because of the position of their patella. It may sit too far to the outside of the groove, or be tilted or rotated which may increase contact within the groove. Physiotherapy can treat the muscles around the knee to alter biomechanics to optimize tracking even with patellae that are mal-positioned. The muscles around – namely the quadriceps or thigh muscle. If the inside quads muscle does not activate well it can cause tracking issues and people with patella-femoral pain tend to develop weaker quads. If the ITB (a band that runs down the outside of the thigh) is tight, it can pull the knee cap more towards the outside of the knee. Hip and pelvis control – if your pelvis drops on the opposite side as you bend your knee this can cause strain through the knee and affect the angle of pull through the muscles causing tracking issues. A simple way to test how you move is to do a single leg squat in front of the mirror; if your belt line drops down as you bend and your knee does not move over your foot then you don’t have optimal mechanics. But the good news is that this can be improved. Foot position – if your feet roll in a lot then your knee will have a tendency to twist in at the knee and this can cause tracking issues as well. Like most running injuries it is an overuse rather than a traumatic injury. Biomechanics – this relates to the way you move and can affect the relative load through the patello-femoral joint. The risk factors listed above can increase the chances of developing problems at the patella-femoral joint. This is something we assess in detail in terms of muscle length, activation and how you move with functional tasks as well as walking and running. Footwear – this links into the foot position as a risk factor. It is important that your footwear is appropriate. Some people may require a motion control trainer while others may need more cushioning. The easiest way to check what you need is by going to one of the many specialist running stores to be assessed. It is also important to replace your trainers regularly. It is quite difficult to give an accurate timeframe or maximum mileage as it depends on many factors such as weight, running style, if they are ever used for anything else except running and the style of trainer. 300 – 500 miles, whilst being quite a large range, is often quoted. Racing flats or barefoot trainers will wear more quickly than regular trainers. A lot of runners can tell by the feel of the shoes – the trainers feel dead and the spring has gone when they need replacing. It is important not to just go by the external appearance as this will not give you a gauge of what is happening in the sole and this is where the shock absorption and control takes place. It is also worth pointing out that even if trainers are left in the cupboard the shock absorption component will degrade. Training surface – if you change where you train this can also sometimes put you at risk of injury. For example if you do not normally do hills or run off road then a sudden change to this surface will increase the demand on your legs significantly. Your body needs time to adapt to the surface you train on. So don’t be tempted to just go out and do a really hard hill session out of the blue otherwise you may end up in a phyios room seeking help! Education – understanding why you came to have this injury as this will help to avoid recurrence. This is a key part of treatment. It is important to look back and see if you have made any training errors related to load or training surface. Rest or reduction in activity. Mostly there will need to be some alteration in running. If you are lucky it might just be cutting this back a little but if the pain is too severe you will need to rest to allow the irritation to settle. If you are training for a particular event then it is important that you keep up cardiovascular training where possible but using an alternative method that does not aggravate the symptoms until you are back to running. Taping – there is evidence to suggest taping can help in the short term to relieve pain and may allow you to continue running and start exercising the muscles in the thigh earlier. Some patients also find bracing helpful. Correct biomechanical issues mentioned in the risk factor section. This will involve assessing how you move and correcting this and normally requires the use of mirrors and videos to help to teach new movement patterns. It is likely to involve improving gluts and quads strength and activation and sometimes muscle stimluators may also be used to make changes more quickly if you are very weak. There are a number of different exercises which target these muscles including squats, single leg squats and lunges which may be used. Pain is a big inhibitor to muscle function so it is important that the exercises are comfortable. The way you execute the exercises and the specific point in your rehab they should be included is a crucial part of the success of the treatment. It is worth understanding that doing these exercises without appropriate instruction and supervision may make you worse. Each person will present differently and some people may have tightness in there calves, quads and hamstrings that can affect the way they move and increase load through the knee and therefore soft tissue release and stretching may be appropriate. Mobilisations to the ankle and around the knee cap may also be used. However, issues in flexibility as a primary factor are probably less common than strength and control issues with patellofemoral pain. This means that stretching/​rollering alone is unlikely to resolve your symptoms. Orthotics – if you do roll your feet in excessively then you may need an orthotic which is a sole you put in your shoe that helps to support your arch. This can be bought off the shelf or custom made by a podiatrist. If your feet only roll in a little then you may be able to improve the position of the foot enough with the correct pair of trainers. Anti-inflammatories – If you are unable to carry out normal functional activities without significant pain then a course of anti-inflammatories may be appropriate. If you are in training and have a race coming up then, with the advice of a medical professional, it may be appropriate to run with some pain and use anti-inflammatories to reduce the symptoms. This obviously risks masking pain and should be discussed with your doctor or therapist. If you chose to continue to train despite pain to compete in a race it is important you allow yourself time post-race to thoroughly address the issues surrounding why you developed the pain in the first place. 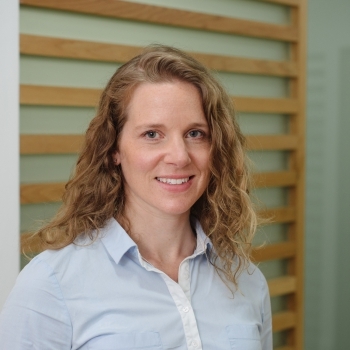 If you want to book an appointment with Rebecca or one of our other physiotherapists you can do so online or by calling the Threadneedle Street clinic.